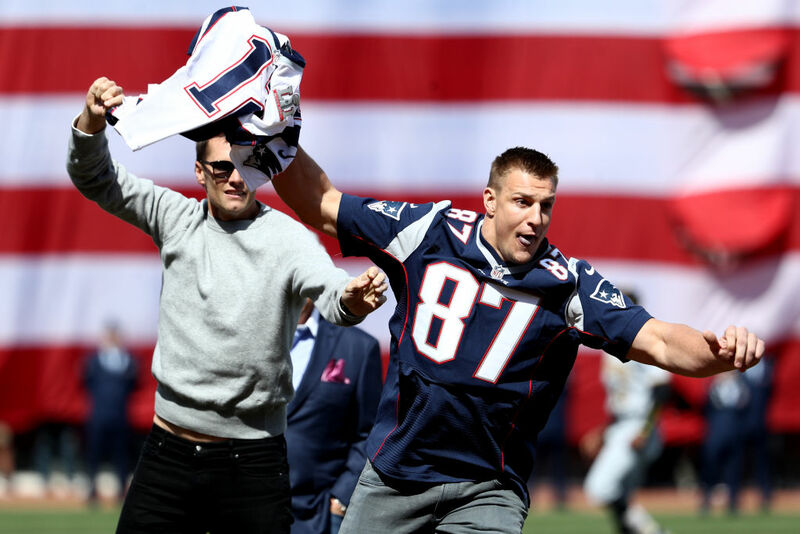 Rob Gronkowski is the latest professional athlete to set himself apart from the pack with his financial savvy in addition to his athletic prowess. During an interview with Business Insider, Gronk spoke a bit on his personal finances, which he says so far has involved not spending a dime of the $54 million he's earned from the NFL as one of its most highly paid athletes. Instead, he's lived exclusively off of his various endorsement deals. And he says he has some advice for other young pro athletes who might find themselves earning a good deal more than they're accustomed to – and no, it isn't just "sign a lot of endorsement deals." "I'd just say keep it simple. Keep it easy, and I'd say keep it simple. Get what you need to be comfortable, save the extra." Gronkowski's financial habits might not have gotten the coveted Warren Buffett endorsement just yet, but he is joining a select group of highly-paid football players who are choosing or chose to make it a point of saving all of their NFL earnings during their playing days, including Marshawn Lynch and rookie New York Giants running back Saquon Barkley.